Months before my yearly trip back home to Singapore, I was already thinking of all the ways of decluttering my wardrobe back home. 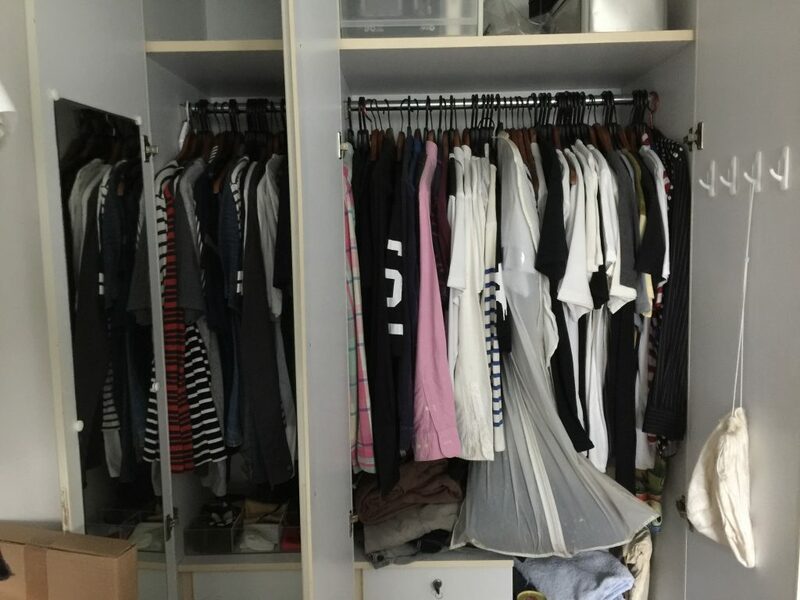 I had a wardrobe stuffed with clothes I didn’t like, even after doing a light declutter the year before. 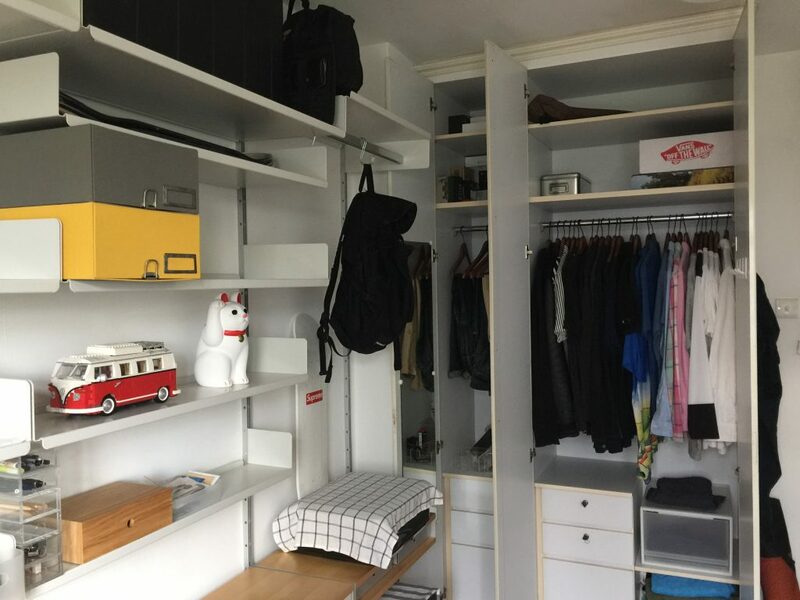 Now that I have advanced the ranks of being a minimalist, I knew I was ready to do a thorough wardrobe declutter to make my belongings more intentional. 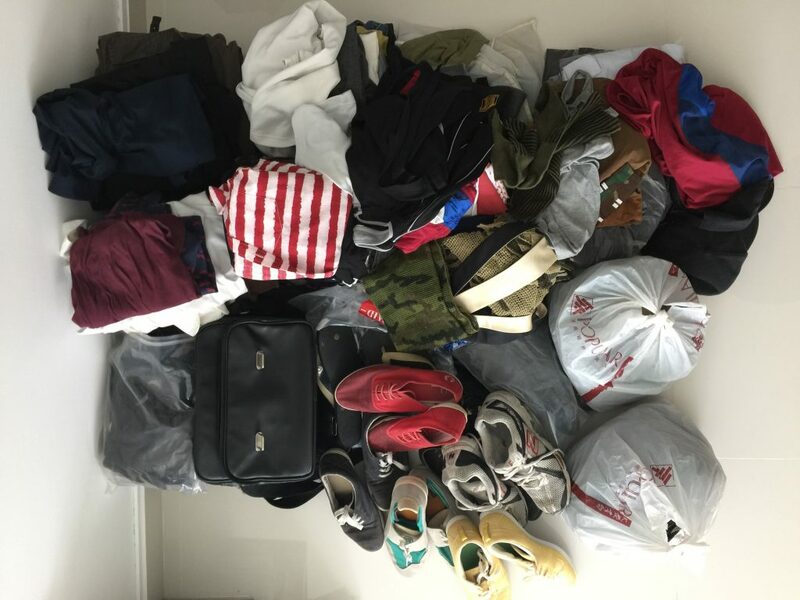 My wardrobe was bursting full of clothes that have turned yellow, things that I bought to sell but trend died off, multiple copies of my army uniforms and accessories. Realising I own all these really made me think. Owning things for the sake of doing so is a disease, and an easy one to ignore. But like any disease, they fester and soon become too hard or impossible to treat. It’s best to nip it in the bud as soon as you realise the problem. First thing I did, in true Kon Marie style, was to remove everything from my wardrobe. You need to do so to lose that feeling of familiarity of your wardrobe being full and seeing an empty wardrobe will certainly put possibilities into your mind. Taking out my clothes was easy enough. I went with the momentum and gathered my shoes and bags, as well as all my army stuff that were in the storeroom. Staying in Japan meant that I did not have to go back for reservist training, so I really only need the bare minimum for when I do move back. Removing the hangers from all the clothes was arguably the most demanding part of the process. Before you begin, it’s important for you to have some personal criterias based on how comfortable you are in letting items go. Mine was pretty much by the book; Clothes that didn’t fit, had holes or mould and not in line with my current style goes. The third criteria will probably have you trying on your clothes trying to justify keeping it, but don’t be easily deceived by sunk cost fallacy. An easy way to think about this is to ask yourself if you would buy the same item again right now if given the chance. If your answer is no, then you are probably better off without it. The worst part for me was a bunch of streetwear, with huge graphics that I liked at that time. They were costly, both in price and in my lesson of buying clothes. It was a firm reminder for me to stick with high quality classic and pieces that have high resale value or does not follow trends. The only piece I kept out of sentimental reasons was a Mambo loud shirt. I simply loved the print and it represented an era that I remember fondly. I would totally rock it on a beach trip. 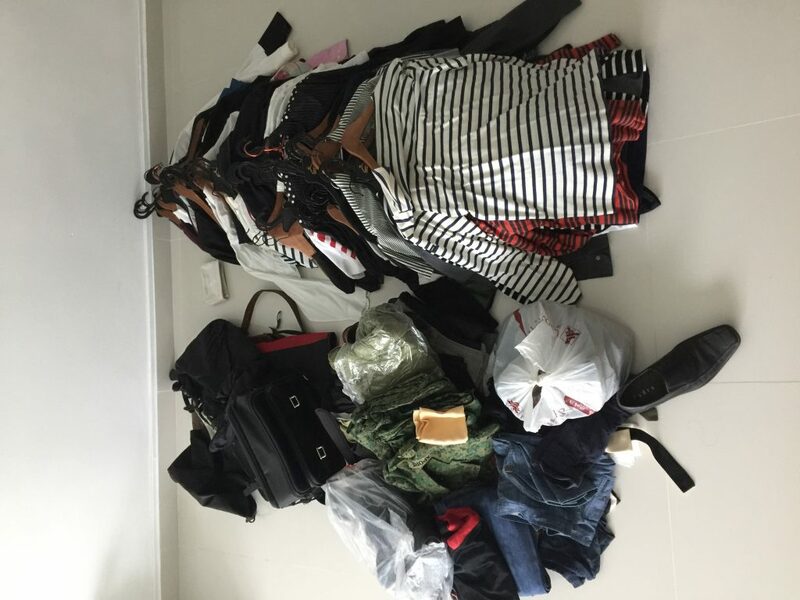 Everything I decluttered from my wardrobe. Most of the clothes were just given away to The Salvation Army. One or two items I could resell, but to be honest, it wasn’t worth the effort. Although I live in Japan, I do visit home once or twice a year. In those trips, I still want to have access to nice clothes so it was important for me to keep some pieces I liked, even if it meant I had to maintain or possibly declutter them again in the future. And without further ado, these are the clothes I ended up with after my declutter. My two hours was rewarded with a clean wardrobe, obsessive-compulsively arranged by color. I can wear each of these clothes without issues and my mind is much clearer without the lingering thought on what to do with those clothes.